Third Eye Vision (TEV) was established in 2004 in Central Florida and expanded its services to Florida and later throughout U.S. We serve mainland US and abroad with several offices and distribution centers. Third Eye Vision has emerged as an industry leader in the world of video surveillance, high speed internet access (HSIA), low voltage systems, web design, web development, mobile apps and mobile marketing using cutting edge technology. We keep our Residential and Commercial clients in Florida completely up-to-date with the most advanced, efficient and affordable security surveillance technology on the market. Over the years, Third Eye Vision has ventured in low voltage systems and wireless technologies in field of Hospitality industry and retail sectors. We serve hospitality industry with security camera surveillance, high speed internet access (HSIA), network solutions, wireless deployments, 24/7 guest technical support, rewards program and mobile coupon clubs in the U.S.
Company Culture: Our team has more than 15 years of experience working with CCTV in Orlando Area. 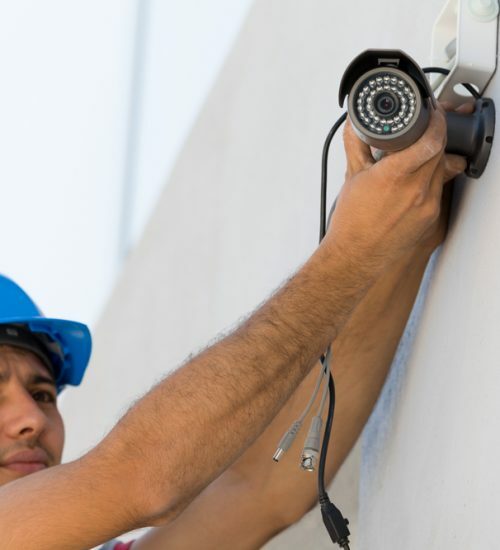 Experience: For more than a decade, we have been designing, installing, maintaining and servicing high level CCTV security camera, high speed internet access (HSIA) Florida. Quality: We carefully choose and work with the highest quality, most reliable systems on the market today to insure dependability for our clients. There is zero tolerance for substandard components. Customer Satisfaction: Focus on the customer and all else will follow. Complete client care and satisfaction has always been our major priority. The majority of our business is from our relationships with established accounts and return clients. Third Eye Vision expanded its reach in field of information technologies such as software development, mobile marketing, social media marketing, web design and web development. With our excellence and experience in this field we have been able to help increase client business and provided state of the art solutions to our esteemed clients in the United States. Third Eye Vision security systems protect lives and property, so it is imperative that they are competently designed, installed, serviced and maintained. Third Eye Vision is renowned for providing excellent service to customers. Our commitment to superior service excels many leading businesses in the same field. 100% Customer Satisfaction Guaranteed. We offer great prices for our dealer and distributors. Please send us email at info@ThirdEyeVision.com or call us on 407-312-9006 for dealer application and pricing. 24/7 technical support is available.